Saginaw Bay even with the bad weather, the die-hards heading out and fishing around Spoils Island caught some walleye when jigging near the rocks. A few even managed to take limit catches. A few perch were caught in the Quanicassee River. Conditions and catch rates should only improve by the end of the week. Au Gres Area boats trolling off the mouth of Whitney Drain and the Singing Bridge reportedly caught a few walleye and the odd steelhead when they could get out. Those trolling crank baits in 10 to 20 feet off Whitestone Point did manage a limit of big walleye. No activity on the river itself. Oscoda steelhead, walleye and Atlantic salmon were caught off the pier. Au Sable River water temperatures dropped but should rebound by the weekend. Anglers were having great success with steelhead and Atlantic salmon caught all the way up to the dam by those using spawn bags, single egg, fly’s, spinners, small spoons and body baits. Tawas Area pier fishing was really slow with only rumors of a couple walleye taken from the outside and nothing caught inside the harbor. A few anglers casting off the mouth of the river caught a couple walleye at night. Tawas River was high and muddy. Crappie are among the most difficult pan fish to pattern, because of their tendency to suspend in the water column, except in the spring. During this time, crappie move to shallow water — sometimes in water only a couple feet deep — to spawn, so there isn’t a lot of water column to suspend in. 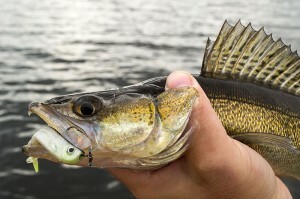 Crappies are like both minnows and jigs. The easiest way to fish for them is to suspend the bait (either a minnow or a jig) under a bobber, halfway between the surface and the bottom, around any sort of cover – weeds, brush, dock pilings…whatever. Anglers who prefer a more active approach can cast with jigs and swim them back or fly fish with minnow-imitating streamers. Just think shallow in spring. 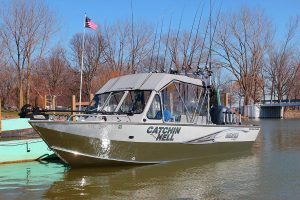 For more information on crappie fishing in Michigan, visit their Fishing in Michigan webpage.